Preheat the oven to 350F. Line twelve cupcake cups with paper liners. In a large mixing bowl, combine dry ingredients including flours, powders, palm sugar, spices, walnuts, shredded coconut and carrots. Lightly mix. Next, add the coconut milk, honey, eggs, vanilla, canola oil and pineapple and mix for two minutes on medium speed. 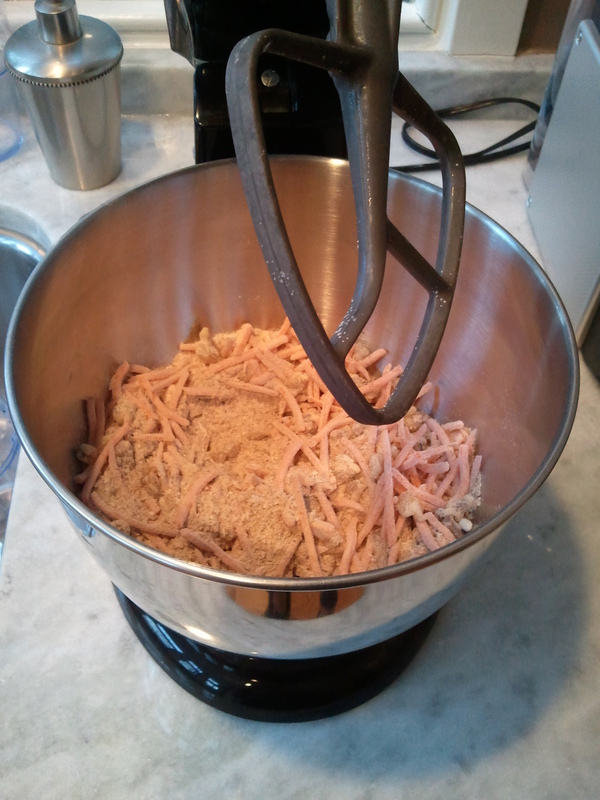 Be sure to scrape the sides of the bowl and mix an additional minute on medium speed. 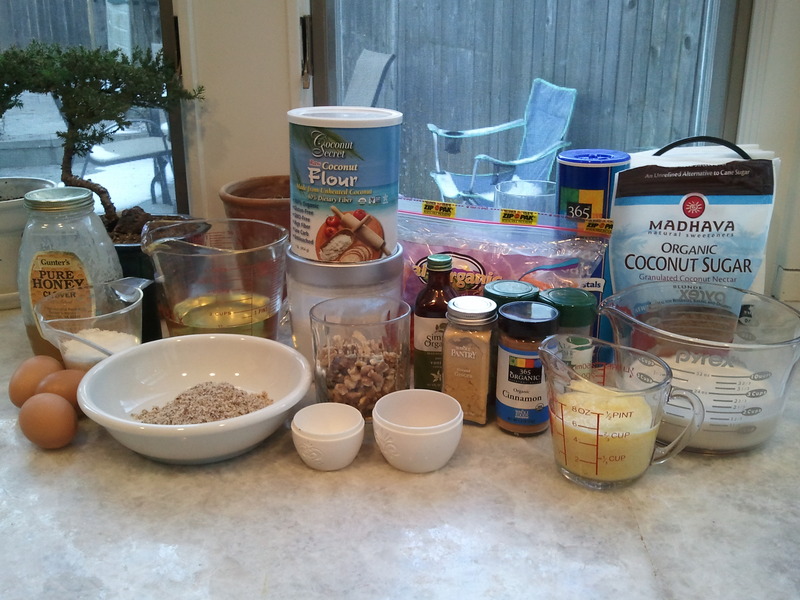 Using a 1/3 c. measuring cup, portion the batter into the baking cups. It’s okay to fill the cups well – this recipe doesn’t rise an excessive amount so you don’t have to worry about it billowing over the sides of the cup. Place in the oven for approximately 32-35 minutes, or until a toothpick inserted into the middle of a cupcake come out clean. Once they’re done, let the cupcakes cool on baking racks until they are cool to the touch. Remove the cups from the pan for icing. 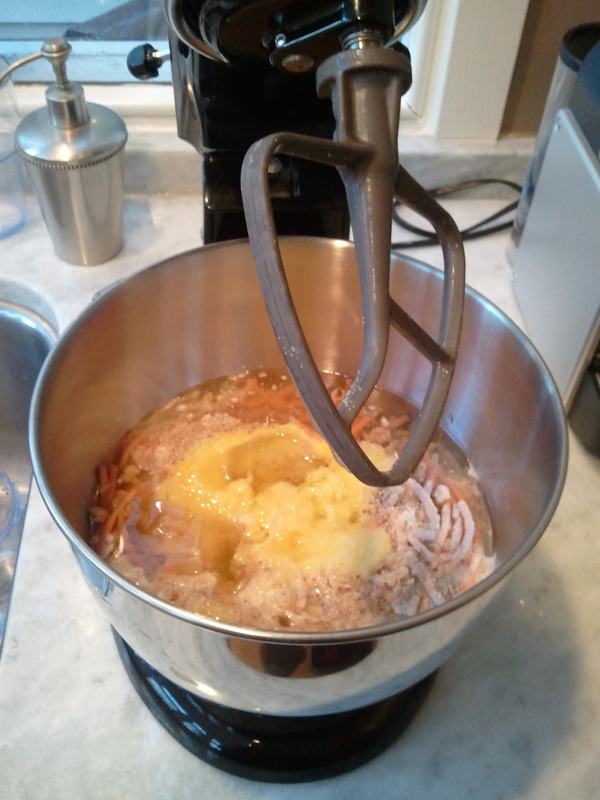 Cream the ghee, shortening and vanilla in a large mixing bowl. Alternate adding 1 c. of sugar and approximately 1 T. of milk. The icing will be clumpy after adding the sugar but adding the milk (in small amounts) helps to smooth out the lumps and creates a nice fluffy consistency. 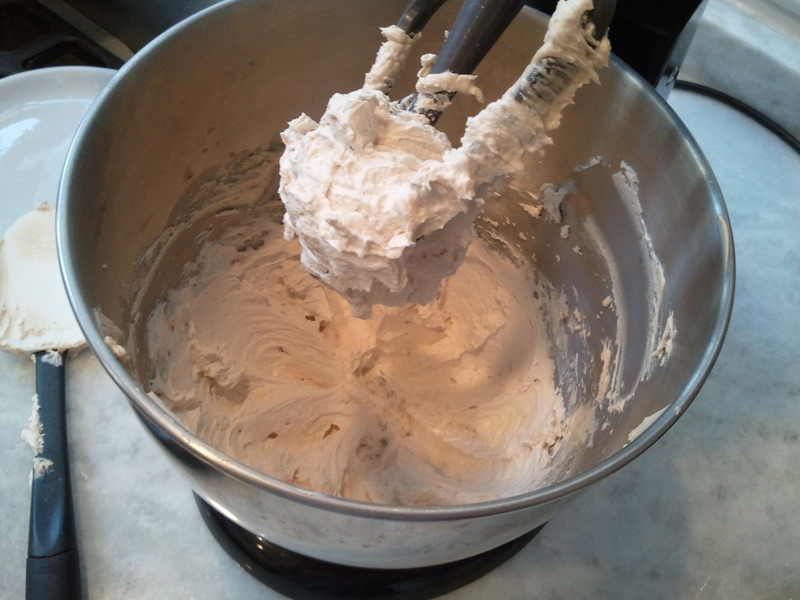 Keep alternating sugar and milk until the icing is smooth but sticks to the beater when raised from the bowl. 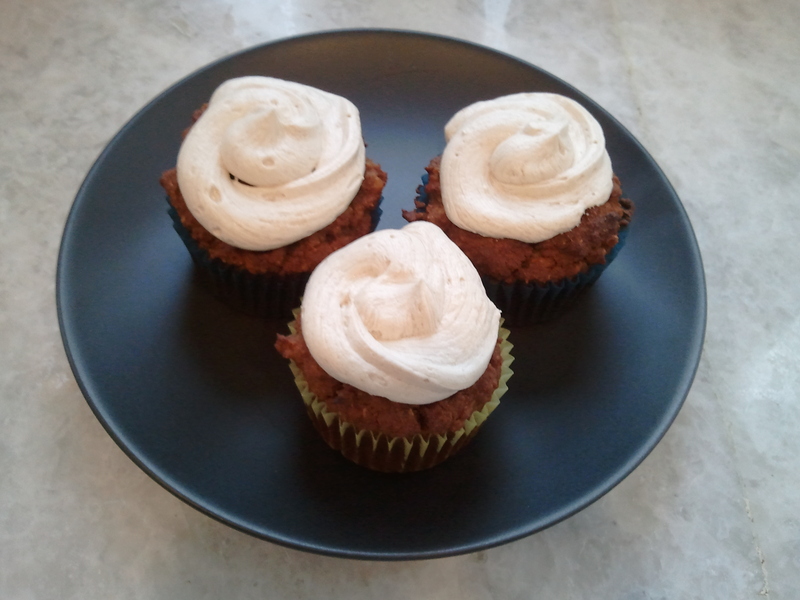 This entry was posted in dessert and tagged carrot, cupcake, pineapple, vanilla icing, walnut. Bookmark the permalink.